0161 951 7295. This is your emergency dentist number! Keep this number handy – you just never know when you might need our emergency dental services. 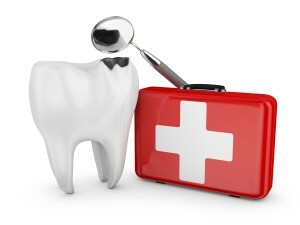 One thing you just can’t plan for is the need for emergency dental services. Dental emergencies generally don’t give any warning. They strike. You suffer. And you need to access the best emergency dental services you can – fast! It could be that you suffer a severe and unexpected attack of toothache. It may be you suddenly lose a filling or a crown. You could be involved in an accident, an assault or suffer a sporting injury that results in broken or lost teeth. Painful abscesses, ulcers, sore gums – none of these can be foreseen, but they all need to be treated quickly by a qualified emergency dental services professional. The thing is that very often when incidents and accidents such as these occur you’re not quite certain what you should do – especially when you’re in severe pain and it happens over a weekend, in the evening or out of normal business hours. Fortunately the Carisbrook emergency dental services are never closed and whatever time you call our emergency number: 0161 951 7295 there will always be someone available to help you to put your mind at ease and to provide the expert, professional treatment you need. If you take a look at our Emergencies page you will see that no matter when you need us – one of our highly qualified dentists is always on-call. If you telephone anytime during the day while our clinic is open then we will immediately do our very best to arrange one of our priority emergency appointments so that you can see a dentist as quickly as possible and without delay. On the other hand if you need to speak to a dentist out of hours – over the weekend or in the evening – then you should still call 0161 951 7295 and you will be given the number of our emergency on-call dentist. Just ring that number and he will call you back to assess the problem and you can rest assured that he will provide any advice, help or treatment that may be necessary. The point is that should you ever need emergency dental services you now know that this is available at any time you require it and what’s more it is as close as your nearest phone. 0161 951 7295 … it is the only emergency dental services number you need to know. So why not make a note of it now. We hope that you never need it, but if you do you know we’ll always be available and ready to help you.